WVOX has on-air and online advertising opportunities available to local and national businesses, local events, and more! It’s About More Than Advertising! 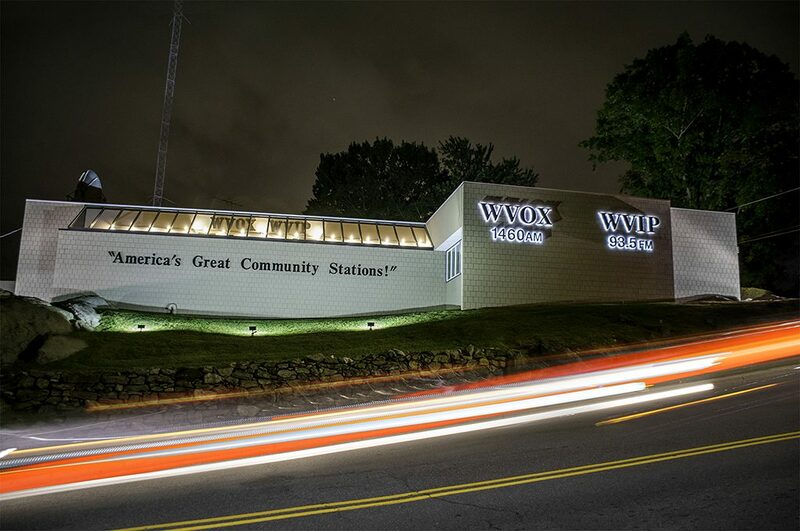 The Wall Street Journal identified WVOX and WVIP as “The Quintessential Community Stations in America.” Our two unique Whitney Media stations have also been called “the most influential stations in New York State” by the last four governors of the Empire State! 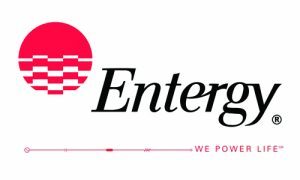 They are the last remaining independently-owned and operated stations in the New York metro area … all the others having fallen to speculators and absentee owners. 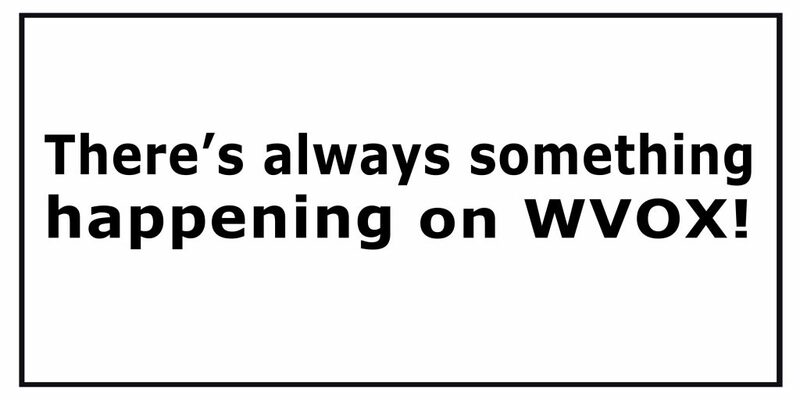 WVOX and WVIP have never paid “tribute” to Arbitron or Nielsen. Yet today over 400 prestigious local, regional and national companies advertise and support our stations. There is an old maxim in our business that Madison Avenue time-buyers can justify any ad buy they want to make. The New York stations are all over them on a daily basis, selling their “wares”, courting them and entertaining them lavishly. We do none of that. Instead, WVOX and WVIP have always had to rely on the client to “enlighten” Madison Avenue on our behalf. Occasionally we do run afoul of a “Roseanne Roseanneadanna” time-buyer who doesn’t know the difference between Bronxville and Bedford. And thus we’ll have to scramble to get WVOX and WVIP on a media schedule. But because Westchester is in the Heart of the Eastern Establishment and because our stations are sui generis, we almost always prevail at the client level (with a little help from our influential friends in the upper echelons!). You and your ad budget deserve more than the empty rhetoric and glib promises of media salesmen! The value of Arbitron and now Nielsen “ratings” has always been de minimus when evaluating a robust, complex and sophisticated listening area. It also helps that we have a hell of a signal … one of the best outside New York City … and are so closely identified with the civic and social life of the Golden Apple! We Don’t Pay For Ratings. WVOX and WVIP have never given a dime to the “ratings services”! We long ago discovered it is impossible even for strategically-placed and well-endowed regional stations like WVOX and WVIP to develop “numbers” which will satisfy Manhattan time-buyers eager to quickly allocate their dollars among those New York stations who court them so assiduously on an almost daily basis and buy their favor with meaningless “add-ons” and useless promotions. These stations, it should be noted, pay the so-called ratings services to be included. Indeed, Arbitron, realizing the futility of measuring the rich, but complex and disparate million-plus Westchester market, completely abandoned and abruptly cancelled their studies for the Golden Apple! And they never did figure out a way to credit our stations with our considerable audiences in The Bronx, Long Island and New Jersey. We’ve always maintained that our discriminating listeners have a life! They’re much too busy to fill out a ratings “diary” in this speeded-up day and age. In fact, they write their own, private diaries – for future generations! And sometimes they even get paid really big bucks to publish them! Thus, the only ones who participate in “surveys” are those few odd souls who don’t really have much of a life. We don’t just sell you “advertising.” Whitney Radio, WVOX and WVIP’s parent company, has valuable contacts and considerable influence with our media colleagues at newspapers, television stations, the networks and wire services … and even at other radio stations! We’re in frequent contact – on almost a daily basis – with the New York Post … Phil Reisman of Gannett … the Westchester weeklies … Liz Smith … Cindy Adams … Ad Age … Ken Auletta of the New Yorker … David Hinckley of the News … Lisa Foderaro, Sam Roberts and Corey Kilgannon of the NY Times … Terry Golway … Alan Chartock … Colin Myler … Fred Dicker … Joe Mahoney … Col Allan … regional magazines … Page Six … Howard Stern … Scott Shannon … The Associated Press … The Hartford Courant … The New York Times … The Daily News … The Times Union … The New York Sun … The New York Observer … Congressional Roll Call … Cablevision … News 12 … New York 1 … Legislative Gazette … the New York State Broadcaster’s Association … the Broadcasters’ Foundation of America). We often use those contacts on behalf of our sponsors and advertisers. Our stations have always had extraordinary relationships and a wide following among affluent decision–makers and upscale families. Thus many institutional and corporate entities utilize WVOX and WVIP to take advantage of our kinship with the influential Westchester community and our extraordinary contacts throughout New York State and the nation. A lot of savvy advertisers do indeed factor in Whitney Radio’s considerable reputation. They find great value in our president Bill O’Shaughnessy’s national standing as a champion of Free Speech, the First Amendment and as a spokesman for the broadcasters of America on a wide range of public affairs issues … not to mention our long-established relationships with Members of Congress … the Bush family … the Cuomo family … and the local, state and federal judiciary. So there is no question WVOX and WVIP find great favor and support among those sophisticated, astute advertisers who wish to be associated with a courageous independent Voice for good government. Advertisers know the rhythm and dynamics of their own marketplace and thus are much more influenced to a much greater degree by the commitment, longevity, lineage and history of our well-known stations. Smart, successful companies base their strategic media decisions on what a station really stands for! Hundreds of national, regional and local advertisers know the importance of our diverse multicultural audiences because… we’re all different. Cookie-cutter jukebox formats don’t always work. And in the New York area only WVOX and WVIP enable advertisers to target their audience and bring their message directly to a specific market and community: Mexican … Jamaican … West Indian … African-American … Italian … Jewish … Catholic … Environmentalists … Sports Enthusiasts … Townies … Irish … Muslim … Gay and Lesbian … Adults … Families … Young Adults … Teens! No other stations have this reach or offer such a wide range of listenership. For all its standing among the “Affluent Influentials” of the Golden Apple and the Sound Shore, WVOX and WVIP have attracted many “youth-oriented” marketers via our four weekly programs for young adults. In fact, twelve area colleges now advertise with us for recruitment! 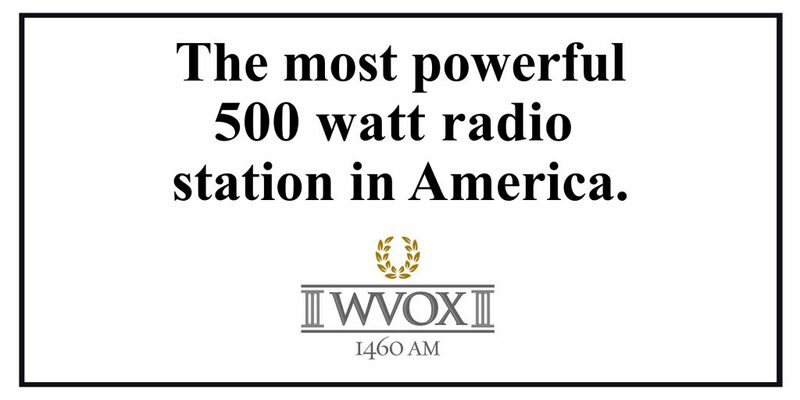 And WVOX and WVIP are the “Official Stations” of several colleges. Our two regional community radio stations are also the stations of choice for local shopkeepers and merchants in The Bronx and Southern Westchester! And the mayors of Yonkers, Mount Vernon, New Rochelle, Eastchester and Mamaroneck have their own weekly shows! And that’s what makes us quite different from other stations. We really believe in the power of “institutional advertising” that beams your message to diverse and highly desirable multicultural audiences … grown-up, adult listeners with roots in Westchester and beyond. Many local, regional and national advertisers now insist on WVOX and WVIP to promote their restaurants, catering establishments, medical and dental practices, car dealerships, transportation companies, brokerage firms, financial planners, retailers, law firms, service industries, educational institutions, prep schools, realtors, hospitals, utilities, nonprofits, developers, labor unions … airlines … insurance companies … television networks … and even the United Nations! 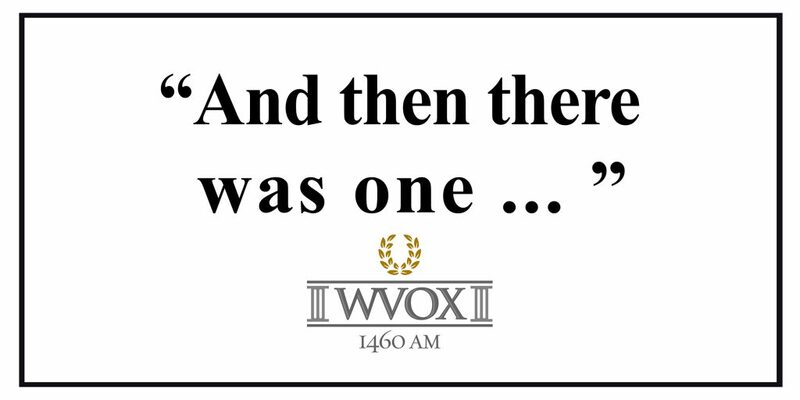 Nobody has ever regretted a relationship with WVOX and WVIP. Would you like to host/produce your own Radio Program? “Don’t Worry Murray” Hosted by Murray Richman, Esq.